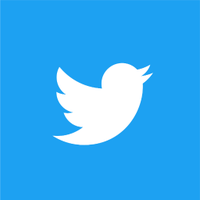 With our 12th biannual Twitter Transparency Report, we continue to expand and build upon our commitment to providing meaningful transparency about requests we receive to disclose account information or remove content. In particular, we are announcing updates on our work to permanently suspend terrorist accounts from Twitter, more granular data on our country-withheld content policy, and expanded reporting on requests for account information. During the reporting period of July 1, 2017 through December 31, 2017, a total of 274,460 accounts were permanently suspended for violations related to the promotion of terrorism. This is down 8.4% from the volume shared in the previous reporting period and is the second consecutive reporting period in which we’ve seen a drop in the number of accounts being suspended for this reason. We continue to see the positive, significant impact of years of hard work making our site an undesirable place for those seeking to promote terrorism, resulting in this type of activity increasingly shifting away from Twitter. Between August 1, 2015 and December 31, 2017, we suspended 1,210,357 accounts from Twitter for violations related to the promotion of terrorism. Of those 274,460 accounts suspended in the last reporting period, 93% were flagged by internal, proprietary tools, and 74% of those accounts were suspended before their first Tweet. Government reports of violations related to the promotion of terrorism represent less than 0.2% of all suspensions in the most recent reporting period and reflect a 50% reduction in accounts reported compared to the previous reporting period. In December 2017, we updated our in-product messaging about withheld content to more precisely explain the reason for withholding. Subsequently, we began to differentiate between legal demands (e.g., court orders) and reports based on local law(s) (e.g., reports alleging the illegality of content in a particular country). These changes are now reflected in this latest Transparency Report, which includes details about removal requests from trusted reporters and non-governmental organizations that we reviewed for potential violations of local law(s). More details are available in the expanded Removal Requests report. In our last Transparency Report, we introduced a breakdown of non-federal information requests from California at the county level. We are now expanding this section to include counties from the other top non-federal requesters: Florida, Maryland, New York, and Virginia. As regulators explore further potential restrictions, transparency is one of the most important ways we can continue to protect freedom of expression. Twitter is proud of our industry-leading policies regarding transparency about content restrictions. This includes our practice of uploading actioned requests to withhold content to Lumen, an independent database that collects and analyzes removal requests for content online (unless we are prohibited from doing so, e.g., if we receive a court order under seal). Lumen serves as a critical transparency resource as more freedom of expression comes under fire, by making such requests available for public review. Additionally, upon receipt of requests to withhold content, we promptly notify affected users (unless, like with our Lumen uploads, we are otherwise prohibited from doing so). Our commitment to transparency around how we enforce our Terms of Service and the Twitter Rules is part of our effort to increase the collective health, openness, and civility of public conversation around the world, and to hold ourselves publicly accountable toward progress. As we explore how we can best measure the health of the public conversation, we will look for ways to provide transparency around any new public health metrics.